Plans, meters is the title of Johan Celsing's lecture on the current works of Johan Celsing arkitektkontor. The lecture is part of the Montagsreihe-series at the Technische Universität München. 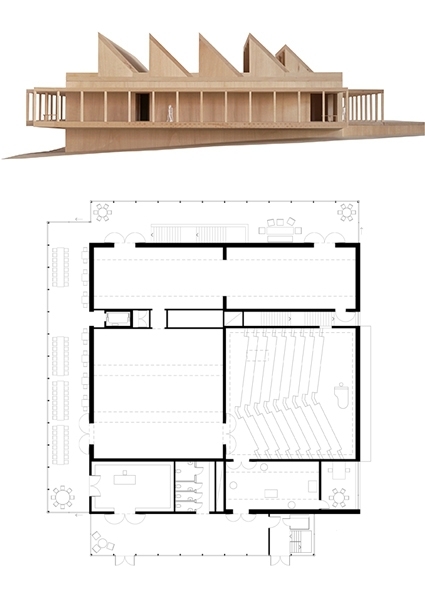 Ravinen, the New Cultural Centre at Norrvikens Trädgårdar, Båstad was presented at an event at Norrviken on July 5th, 2015. The building will be located by a river ravine overlooking the sea. The building has art galleries for temporary and permanent exhibitions, an auditorium for chamber music and lectures, a restaurant, a shop etc. The exhibition is open from the 3rd of July until the 29th of August at the Galerie der Deutsche Gesellschaft für christlische Kunst in Munich. The exhibition includes works by Bernado Bader, Rene Bechter, Gion A. Caminada, Jutta Heinze and Günther Vogt. 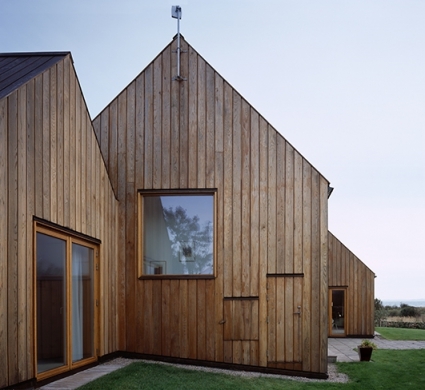 The lecture is organized by The Royal Institute of The Architects of Ireland. 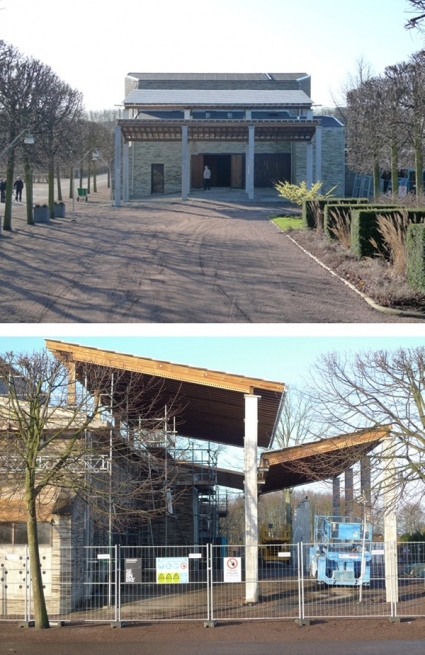 The canopies outside the chapels of St Knut and St Gertrud by Sigurd Lewerentz from 1943, that have been dismantled for several years, are now reconstructed. 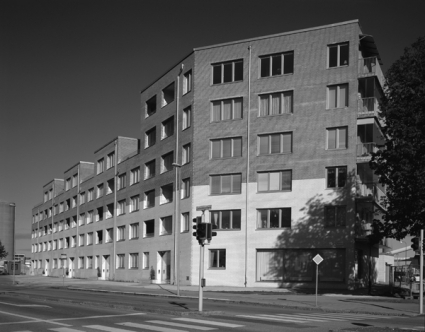 Johan Celsing arkitektkontor have been in charge of the reconstruction work. Most of the original marble of the roofs have been reused as well as other details of the canopies. The original drawings, today in the ArkDes, the Swedish Museum of Architecture, have been meticuously adhered to with only a few minimal adjustments that relate to Lewerentz own adjustments in the 1950's. 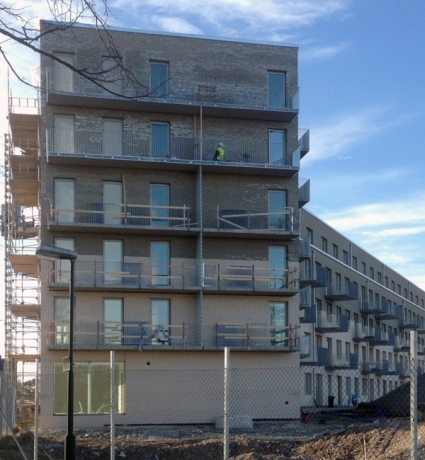 Limhamnsläge housing project for Riksbyggen in Malmö is to be completed in spring 2015. January 16, at 12.15, public Lecture at Universidad de Navarra, Escuela Técnica Superior de Arquitectura. Intentions and Realities in recent designs. The lecture coincides with an on-going exhibition of the work of Johan Celsing arkitektkontor in the exhibition series Aquitecturas de Autor.